Star Trek 4 has reportedly been shelved by Paramount Pictures. 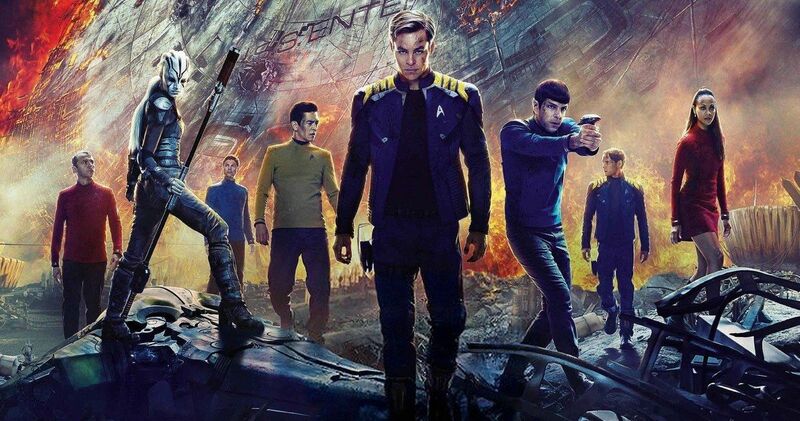 The history of this movie dates back to just before the release of Star Trek Beyond when producer J.J. Abrams revealed that they already had plans for the next installment of the franchise. What’s more is that the fourth movie in this series would have brought back Chris Hemsworth as the elder Kirk, who appeared briefly, though memorably, in the 2009 Star Trek reboot, which was helmed by Abrams. Unfortunately, it looks like those plans are dead in the water. According to a new report, Paramount has apparently shelved the project entirely for the time being. This reveal comes as S.J. Clarkson, who had been tapped to helm Star Trek 4 last year, has moved on to direct the pilot for HBO’s Game of Thrones prequel series. Clarkson reportedly became available for the show as a result of Paramount deciding not to move forward with Star Trek 4 at the present time. So, at least for now, those who were hoping to see Chris Hemsworth and Chris Pine share the screen together as two different generations of Kirk may need to let those dreams die. Should this news hold true, it’s a shame for several reasons. Not only did this movie have a very intriguing premise, but the current cast has been a highlight of the rebooted franchise, even if movies like Star Trek Into Darkness didn’t do the trick for every fan and critic out there. Not only that but, speaking specifically to S.J. Clarkson, she would have become the first woman to direct a movie in the history of the franchise, which was a big deal. There are several reasons Paramount may have decided to shelve the project. For one, we reported last year that the studio ran into a contract dispute with both Chris Hemsworth and Chris Pine, who were seeking increased paydays, given the fact that they’ve both become very bankable stars. That was a particularly problematic request, given that Star Trek Beyond dramatically underperformed, bringing in just $343 million worldwide, working from a hefty $185 million reported production budget. Not only that, but Star Trek Discovery has been doing very well on CBS All Access, and the network has lofty plans to expand the small screen version of the franchise in the coming years. There’s also the matter of Quentin Tarantino’s R-rated Star Trek movie, which is being developed separately from Star Trek 4. Mark L. Smith (The Revenant) had been hired to pen the screenplay for that project, with J.J. Abrams producing and, if all goes well, Tarantino in the director’s chair. For now, there is no word on the current status of that project, but it could still move forward despite Paramount’s decision to shelve the next installment of the main franchise. Either way, it’s likely going to be a while before we see any new Trek on the big screen. This news was first reported by Deadline.